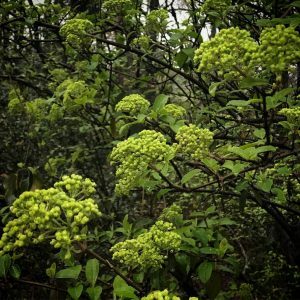 March and April are the months in the south that finally drive winter out for good, after the usual roller coaster rides with temperatures rising then falling, and multiple cycles of freezing and thawing. 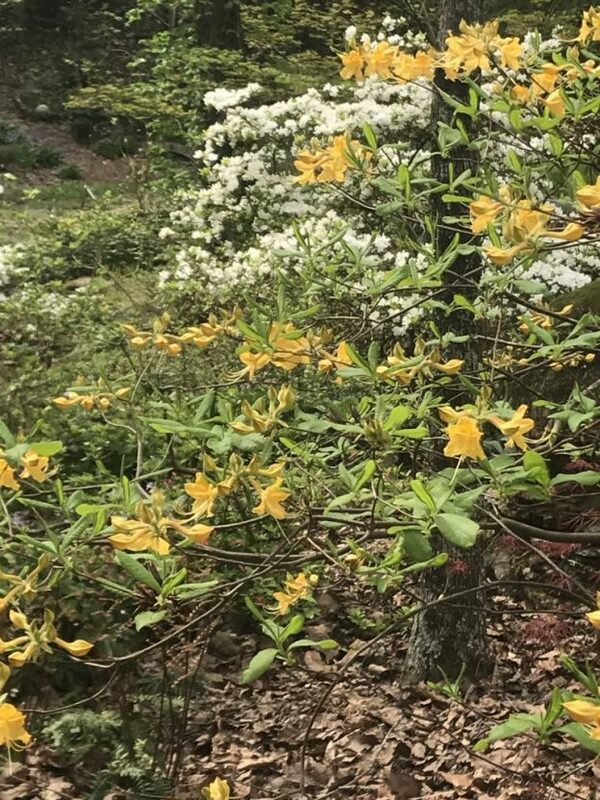 Though our last average frost isn’t until mid-April, this year the fat buds of cherry trees and crabapples, spiraea, forsythia, and many more have burst into fragrant, beautiful bloom, and neighborhoods are awash in color. 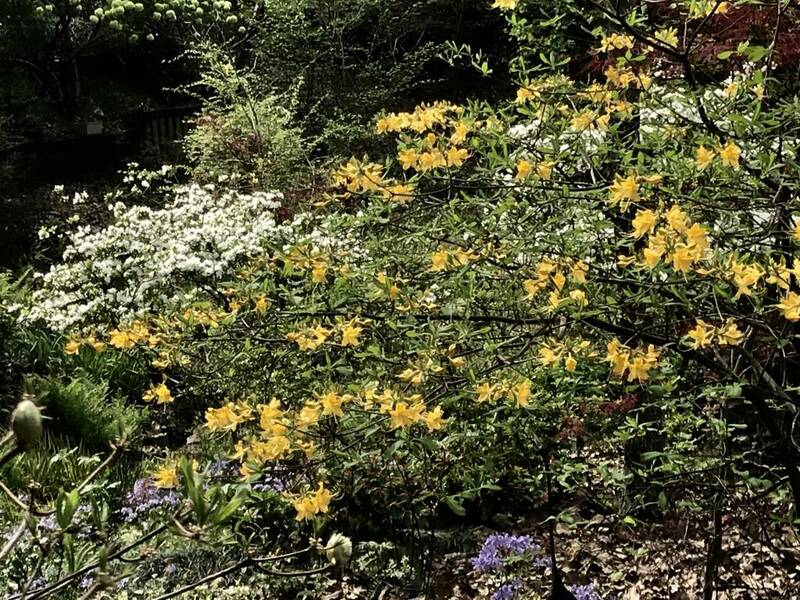 Favorite shrubs of mine that add to the spring symphony are our native deciduous azaleas and the hybrids that have come along in recent years. 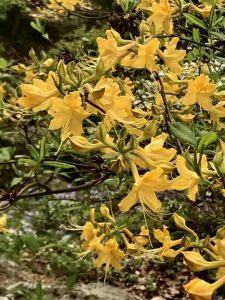 We have a selection available now, and, as they’re considered by many to be some of our most beautiful flowering shrubs, you might like to add one or more to your garden this year. 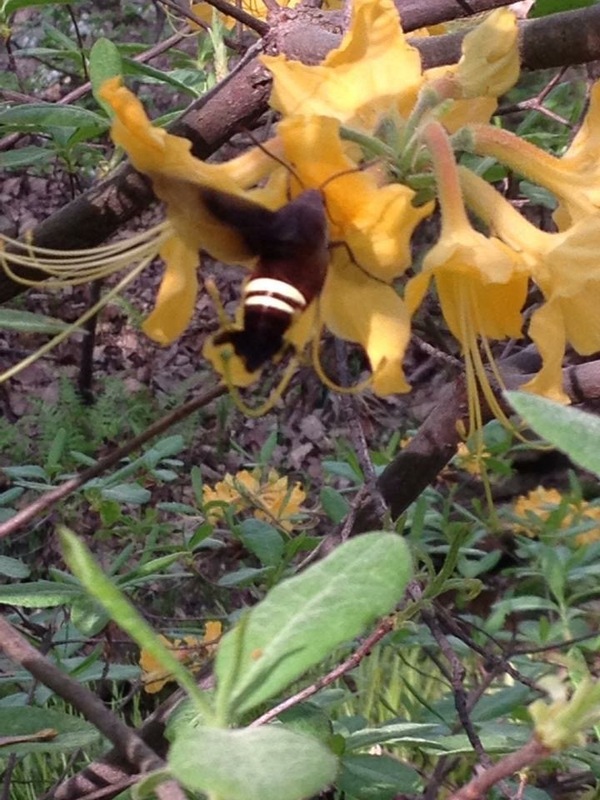 Large, fragrant, honeysuckle like blooms open gradually, offering nectar to swallowtail butterflies and hummingbird moths. 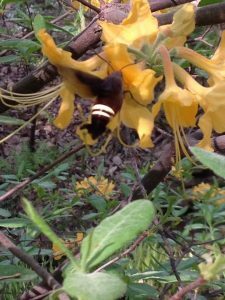 It’s a delight to catch these pollinators “working” the blossoms! 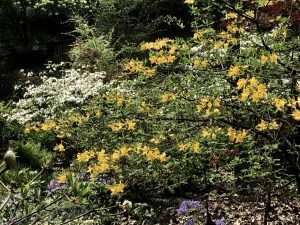 A mistake many people make when deciding where to put their deciduous azalea is placing it in too much shade. 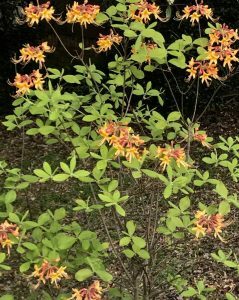 They do need some sun to bloom well, so be sure to think about how much shade mature trees cast in your landscape when considering your placement. Once you’ve decided on your spot, don’t make the next mistake many people do when planting a new shrub, especially deciduous azaleas which are shallow rooted, by planting too deeply. Plant the rootball slightly high, water well, and mulch with pinestraw. 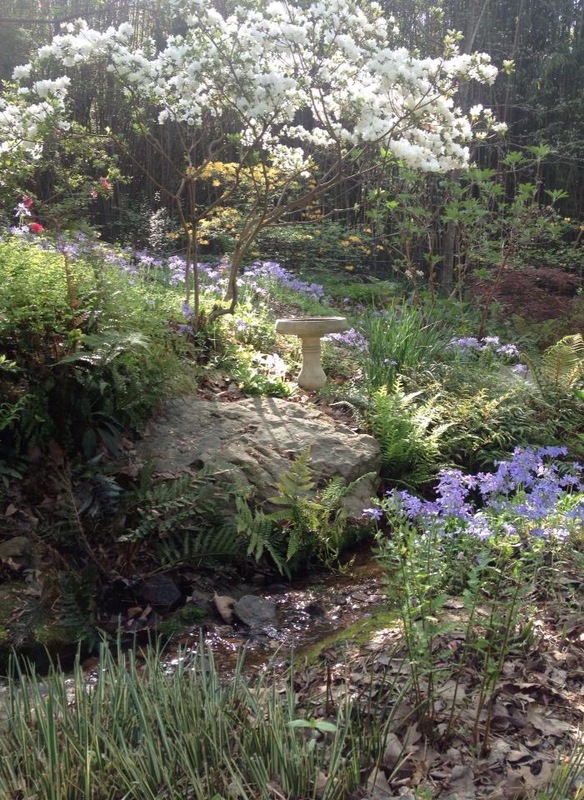 Once your shrub is planted, don’t neglect water. 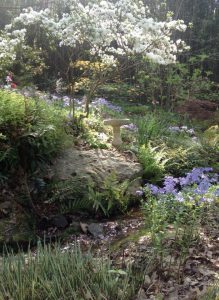 Though they need a well draining soil, they also need even moisture, so be mindful of this especially through the first two summers and possible dry spells. 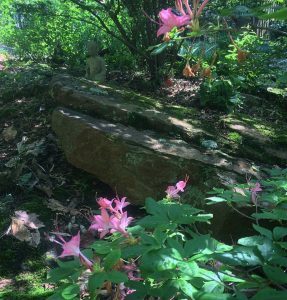 Though they can grow up to 12’ in height, I do very minimal pruning on my deciduous azaleas, because they’re in a rocky area and haven’t quite gotten that big. 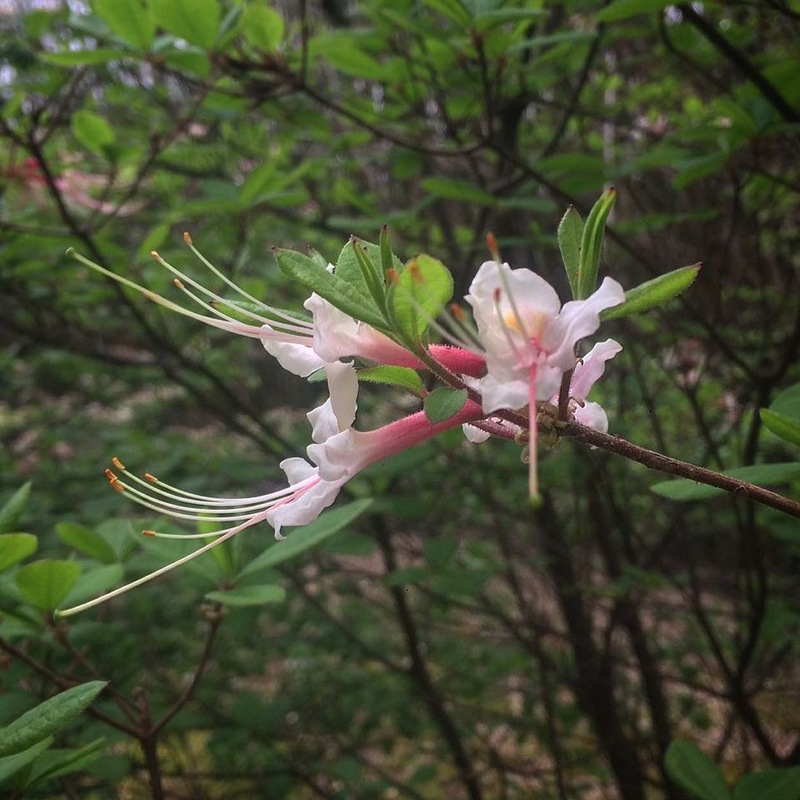 If you wish to prune yours, it’s best to prune early blooming varieties right after they bloom, since the following year’s flower buds form in June. 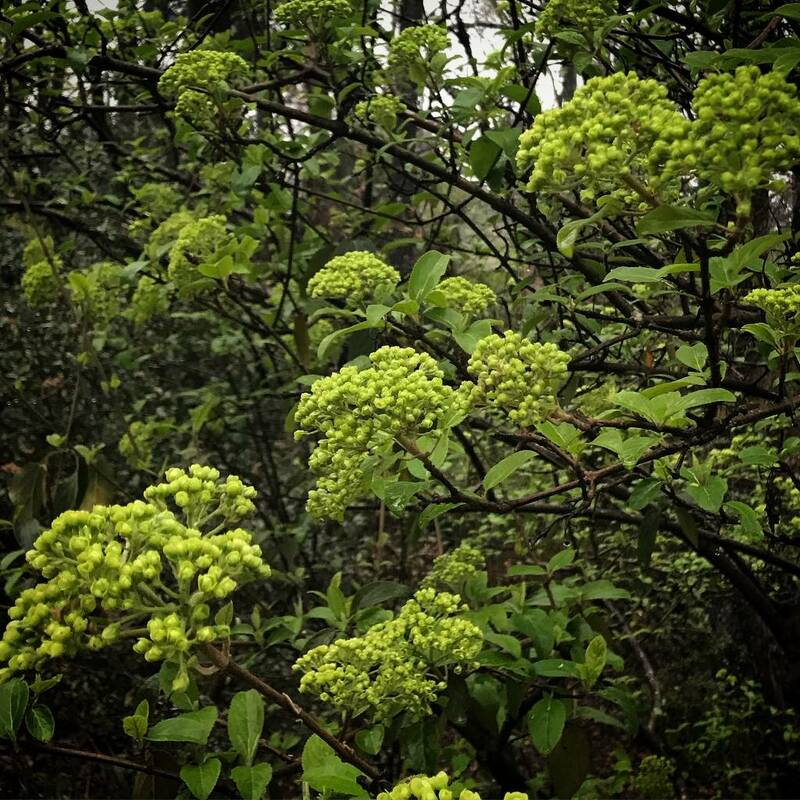 With judicious pruning you can achieve a smaller shrub at around 6’. Do you think you have just the right spot for at least one of these beauties? I hope you do. 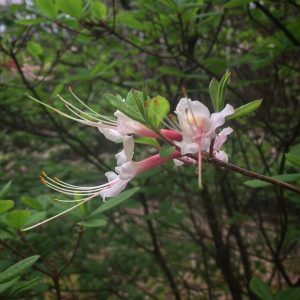 You’ll be creating your own magnificent symphony of color and scent for neighbors, pollinators, (and you!) to appreciate and enjoy. 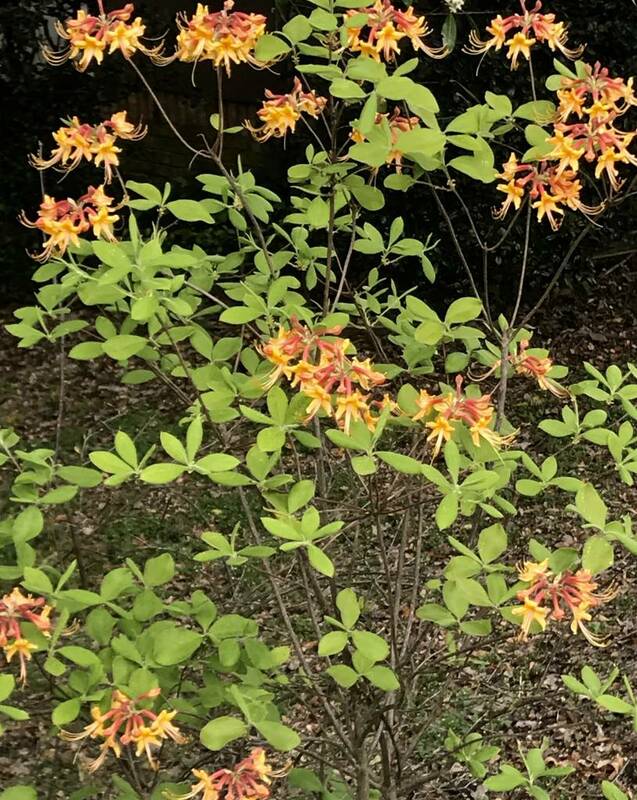 This entry was posted in Gardening Tips, Native plants, Tree/Shrubs and tagged deciduous azalea, native azalea, spring flowering shrubs on March 25, 2018 by Kris Blevons.